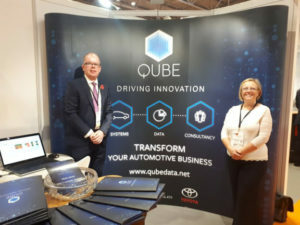 The team from Qube were out and about last week, exhibiting for the first time at Automotive Management Live – a leading event for the automotive retail industry held at the NEC. It was great to sense the positive mood about the future of the industry and to see how the automotive retail sector is embracing a digital culture. Automotive Management magazine has reported on industry insight from Qube which reveals that more than 40% of franchised dealers have incorrect MOT dates stored in their database – meaning many customers may be receiving their MOT reminders at the wrong time. Director Seamus O’Donnell explains the impact this can have on customer retention and details how Qube’s new system can rectify this problem.